The residential apartments in Seshadripuram Bangalore are now available in very effective and affordable prices and are worth with the features and amenities provided. Buying apartments then possibly become easy and quick and everyone can fulfill their dream of buying an apartment. Property in Seshadripuram Bangalore is a residential set of apartment or complex which is beautifully designed and offers buyers with utmost comfort for living. The green lush and the landscape makes you feel like an opportunity to live in the peaceful and healthy environment. These apartments have a magnificent view of surrounding areas and are perfect for the buyers who are finding for comfort and luxury. 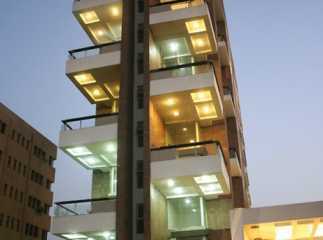 The prices of these apartments are extremely affordable and thus builds a space for your heavenly abode. This 3BHK property in Seshadripuram Bangalore focuses on healthy lifestyle and maintaining the comfort of residents. These apartments are bounded with greeneries at every corner of the apartment. These apartments strive for excellent atmosphere and cheerful environment. The apartments are available through loan services and also through friendly payment plans. The builders help to sanction loans for the buyers so that they are able to enjoy a lavishing lifestyle in these apartments.